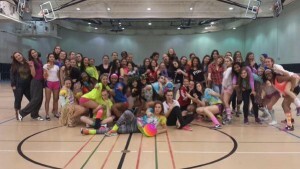 On Saturday, Feb.21, DGS competed at HOME against Benet, St.Ignatius, & Westmont. Results can be found here. On Saturday, Feb.14, the DGS girls track & field team opened up the 2015 season in a 6-team meet at Hinsdale Central. The lone DGS event winner was sophomore, Soren Umali. in the 55m hurdles. Other top performances included Rachel Petro in the 300m dash, Nicole Muccianti (along with Umali and Petro) in the 55m dash, Sonja Renowden in the long jump, and Abby Kargol in the 1600m run. Results can be found HERE. DGS Track captains lead team bonding activities today! Author Coach PlunkettPosted on February 7, 2015 March 27, 2015 Categories Track & FieldLeave a comment on Captains Day Fun! Results from the Sprints Time Trial on Friday, Jan.30th.